The Conformal Prediction framework guarantees error calibration in the online setting, but its practical usefulness in real-world problems is affected by its efficiency, i.e. the size of the prediction region. Narrow prediction regions that maintain validity would be the most useful conformal predictors. 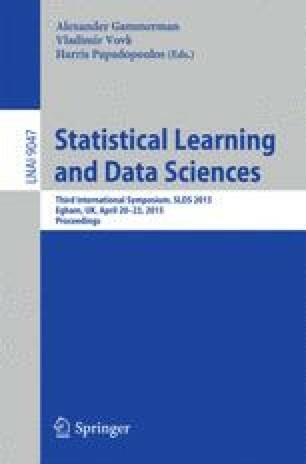 In this work, we use the efficiency of conformal predictors as a measure to perform model selection in classifiers. We pose this objective as an optimization problem on the model parameters, and test this approach with the k-Nearest Neighbour classifier. Our results on the USPS and other standard datasets show promise in this approach.